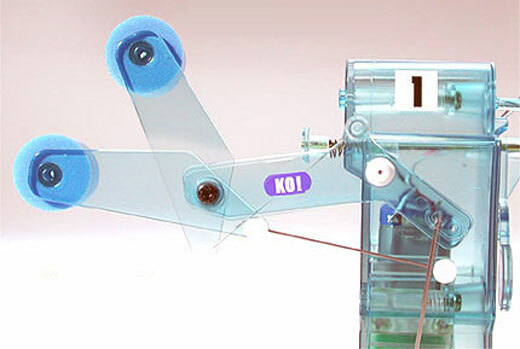 These little toy robot kits from Japan do one thing and one thing only. They beat the crap out of each other. Tamiya’s Robocraft boxing robots come in a kit that’s easy enough to assemble if you know your way around a screwdriver. 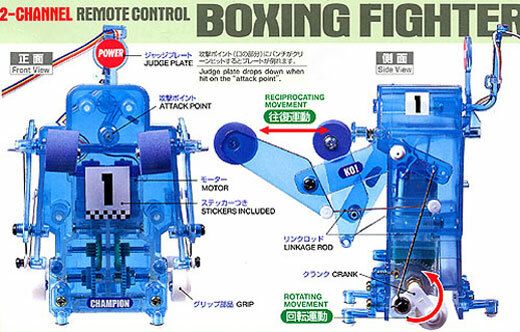 Each robotic boxer operates on a wired remote, which lets you control each of two gearboxes which drive the robot’s punches and movements. The same gears drive the punching action and forward/backward movement, making them a bit wobbly and unpredictable – both excellent traits for a boxer. Just as Mickey Rourke. A simple adjustment lets you switch between two punch types: upper-cut and straight jab. 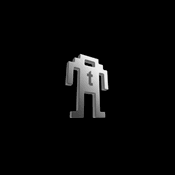 They’re sorta like a modern-day version of Rock ‘Em Sock ‘Em Robots, no? 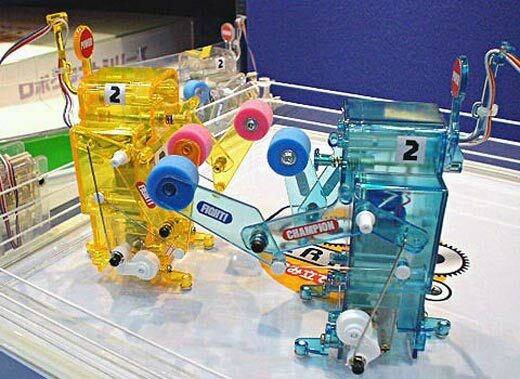 Tamiya USA sells individual blue boxing ‘bots (along with a little punching bag) for $37 USD, and pairs (in colorful pink and yellow so you can tell ’em apart) for $67 USD.